The Expanded Disability Status Scale (EDSS) works together with the Functional Systems Scale (FSS) to measure MS disease progression. The EDSS assesses the disability status of MS patients on a scale from 0 to 10. Scores from 0 to 3.5 are determined by deficits in eight Functional Systems (FS) in patients who do not have any impairment of ambulation. Scores from 4.0 to 10.0 are determined both by ambulatory ability and FS deficits, which typically correlate with each other. Some providers use only the ambulatory score to determine the overall EDSS score between 4.0 and 10.0. In situations when there is subjectivity and FS deficits do not correspond to a specific EDSS level, a range is provided. 4.0--Fully ambulatory, self-sufficient, up 12 hours a day despite relatively severe disability. Able to walk ≥500 meters without aid/rest. 4.5--Fully ambulatory, able to work a full day, may require minimal assistance. Able to walk ≥300 meters without aid/rest. 5.0--Ambulatory for 200 meters without aid/rest; disability that impairs full daily activities (eg, to work full day without special provisions). 5.5--Ambulatory for 100 meters without aid/rest; disability precludes full daily activities. 6.0--Intermittent or unilateral constant assistance required to walk 100 meters, with/without resting. 6.5--Constant bilateral assistance (canes, crutches, or braces) required to walk 20 meters without resting. 7.0--Unable to walk >5 meters even with aid; (restricted to wheelchair); wheels self in standard wheelchair and transfers alone. 7.5--Unable to take more than steps; restricted to wheelchair; may need aid in transfer; wheels self but cannot use standard wheelchair a full day; may require motorized wheelchair. 8.0--Restricted to bed/chair or perambulated in wheelchair, but may be out of bed itself much of the day; retains many self-care functions; generally has effective use of arms. 8.5--Restricted to bed much of the day; has some effective use of arms; retains some self-care functions. 9.0--Helpless bed patient; can communicate and eat. 9.5--Totally helpless bed patient; unable to communicate effectively or eat/swallow. Use to measure progression of disease in MS patients. Use to compare outcomes in MS clinical trials. EDSS: Points assigned based on level of disability. FSS: Addition of selected points within body system. Score of 1.0 to 4.5 -- Normal ambulation. Score of 5.0 to 9.5 -- Impaired ambulation. 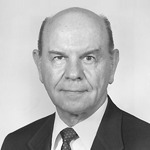 John F. Kurtzke, MD, (d. 2015) was professor emeritus of neurology at Georgetown University. He was a leading expert in the study of multiple sclerosis (MS) and a contributor in the creation of the field of neuroepidemiology. Dr. Kurtzke authored over 200 peer-reviewed articles and received multiple awards for MS research including the Charcot Award from the MS International Federation.